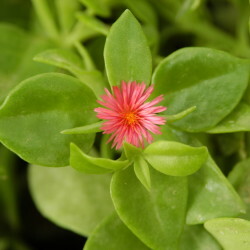 This succulent perennial groundcover is native to South Africa and belongs to the ice plant family (Aizoaceae, formerly Mesembryanthemaceae). It retains its fleshy leaves all year round. 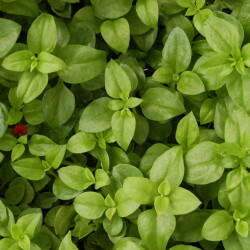 They are heart-shaped, about 3 cm long and their bright green contrasts well with the tiny but numerous magenta flowers that appear in summer and autumn. They consist of string-like petals that enclose a small white centre, and open only during sunshine when they attract bees and butterflies. 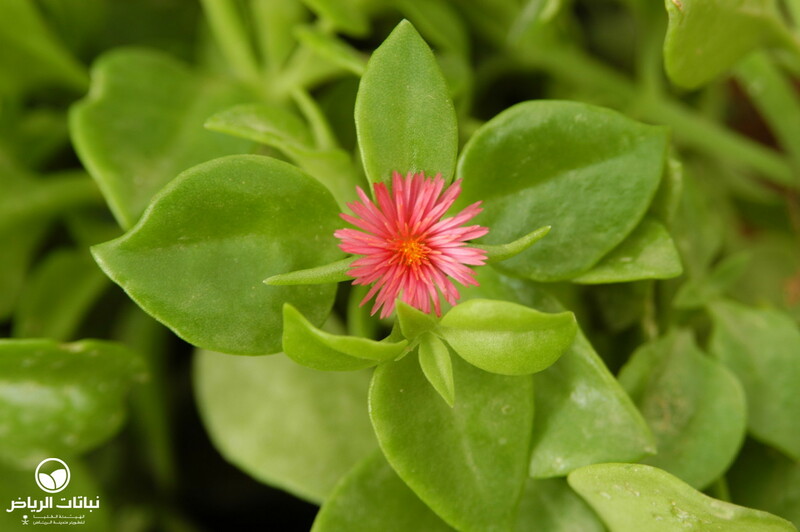 Flowers are borne in the leaf axils and develop into capsules about 1 cm in size. 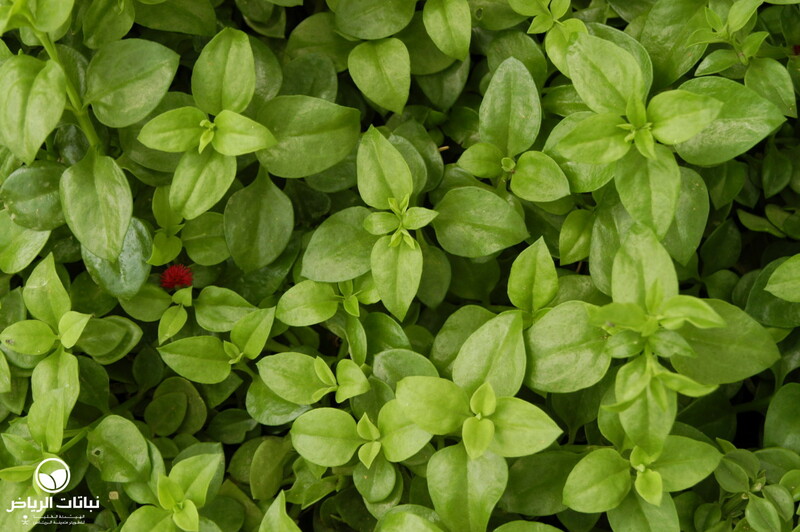 Plants will not exceed 10 cm height, but stems quickly grow to 60 cm in length. It tolerates full sun when the soil is gritty and not too dry. 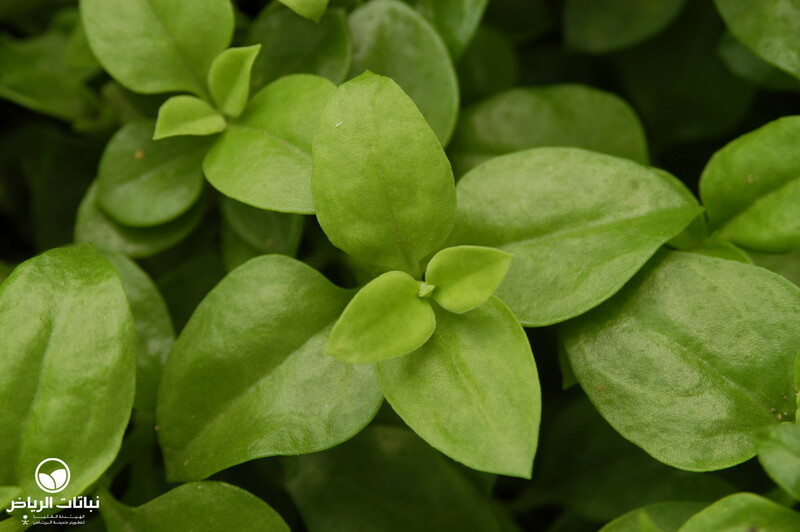 Even though its succulent leaves store water, A. cordifolia does not revel in heat or reflected sun. The plants may even become cholorotic and can eventually expose unsightly bare twigs that will not recover properly. 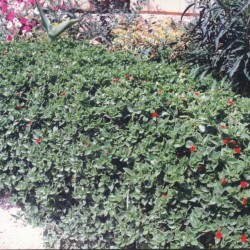 Light frosts, as may occur in Arriyadh, do not harm this plant. In rock gardens, it makes an excellent groundcover. It does well in containers too, where it looks best spilling over the edge. Pruning is easy and possible at any time. 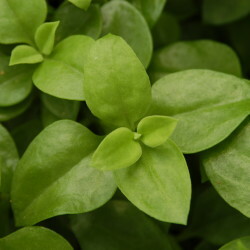 Propagation by cuttings is simple and seeds also germinate well. There are variegated types or cultivars with different blossom colours such as white, yellow, red and violet. 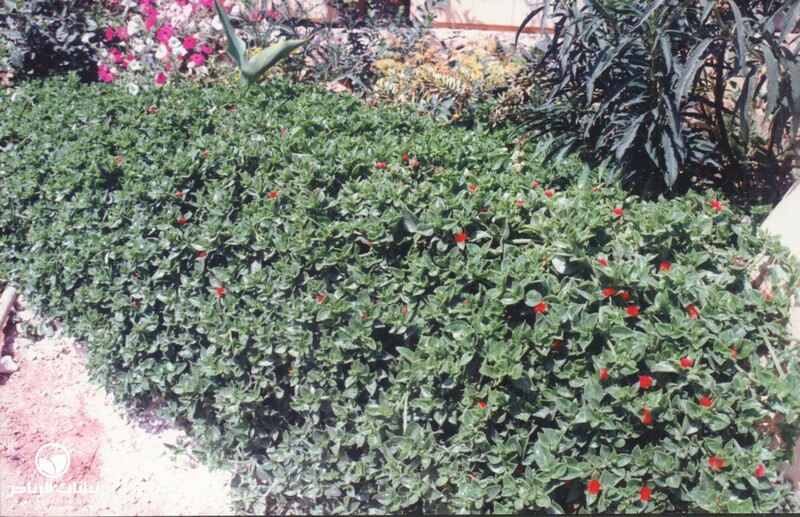 A. cordifolia is best planted in small areas in Arriyadh, where it can be used as a groundcover, in a rockery, a hanging basket or cascading over the edge of a container.